I’ve always been fascinated with small things – anything smaller than its usual size. When I was young, Life put out a commemorative issue of their first magazine, a miniature edition that would’ve measured 2″ x 3″. Reading it as a child, I felt like a giant. The Collosal Man. When I was a teenager, I had a girlfriend with a charm bracelet upon which hung a tiny silver church. When you held it up to the light and looked into the tiny window, you could see (and read) the entire text of the Lord’s Prayer. It was almost enough to make one religious. I jest. I suppose my fascination really started in earnest when I was five and was given an electric train set. Well, it was more than “a set”. Alot more. My father must’ve laboured for weeks constructing the entirely naturalistic landscape, complete with buidlings and roads and water towers and three trains that would zoom through the surrounding countryside and into Plasticville. He even put lights inside all the buildings as well as street lights along all the streets. There was a beacon out at the airport, too, so that at night the whole thing lit up, including all the windows in the silver passenger train, through which you could see the silhouettes of all the travellers. It became a kind of retreat, a constrained universe all its own, a virtual world where I could lose myself. And this, in 1951, before the concept of virtual worlds had even been invented. I loved everything about it – the engineering of the locomotive, the sound of the trains traveling round the tracks, the cataclysms caused from running too fast, the whistle, the smoke erratically puffing out of a small smokestack, even the strange electrical smell the transformer gave off. But I also loved the little buildings and their accompaniments and the fantasies they permitted. As an teenager and young adult my fascination for small was transformed. I found myself becoming, among other things, a connoisseur of unusual places, as well as unusual people. One of the more unusual places was a restaurant – long gone now – that used to eat at in Paris, just round the corner from Shakespeare and Co. The Vietnamese woman that owned and ran the place kept a very intimate establishment: two tables, five chairs, lots of old newspapers and magazines. One of the tables was for her customers that were coming in to eat; the other was for her sewing machine, on which she did alteration work, the earnings from which subsidized the restaurant. For those of you that find such things interesting, then you might – if you happen to be in the area – feel like visiting any one of these places. They are among my favorites, and they are open for business, even as I write. SOLO PER DUE – or “Just for Two” – is the smallest restaurant in the world: it has only one table and it takes just two people at a time. So there are no queues, no turns, and no waiting; all our attention is dedicated to the two people who have booked. This singular characteristic has made SOLO PER DUE world famous, and it has become an unmissable experience for visitors to Italy, and particularly for the romantically inclined! The building which houses SOLO PER DUE dates from the nineteenth century and is situated in a very evocative historical location; in the grounds there are the remains of a Roman villa. Carlo Bartolomeo Piazza (1703) identified them as the country villa belonging to the Latin poet HORACE, given to him by MECENATE. As well as admiring the mosaic floors and the portico of the villa, you can also visit the nearby Bandusia Fountain, close to the ruins, to which Horace dedicated one of his most celebrated poems. When you pass through the gates of the restaurant you are surrounded by the garden which houses a magnificent collection of palms from all over the world, such as Trachycarpus fortunei, Trachycarpus martianus, Phoenix canariensis, Phoenix dactylifera, Phoenix reclinata, Butia capitata, Bhaea armata, Washingtonnia filifera, Sabal mexicana, Chamaerops humilis and several varieties of Cycas revoluta. In the local dialect, Kuappi is the Finnish word for cupboard. Sized accordingly, Kuappi is alternately known as the world’s smallest restaurant. The interior seats 2, and 2 can sit on the patio. Mainly you’d just go for a beer though for those wanting the full experience food can be ordered from a nearby (average sized) restaurant. It’s something to get a photo of maybe, but overall comes perilously close to being a tourist trap. There’s better dining in the city, but for those who like world-record superlatives this is Directions: Near Olutmestari, across the bay from the Olvi factory. Copenhagen is at its best when it is at its quirkiest. 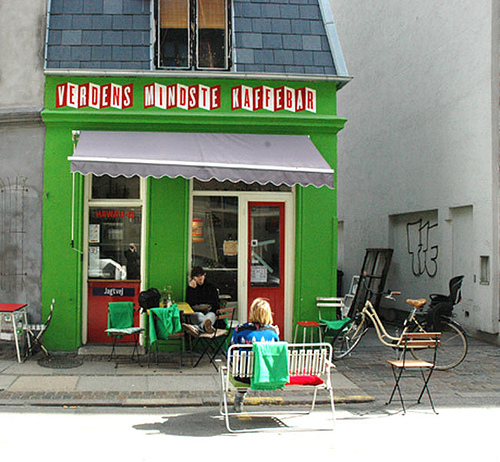 And there are few quirkier establishments then Verdens Mindste Kaffebar – ‘The World’s Smallest Coffee Bar’. Located on the little known street in Vesterbro called Tullinsgade (which runs of the more well-known streets, Vaernedamsvej). 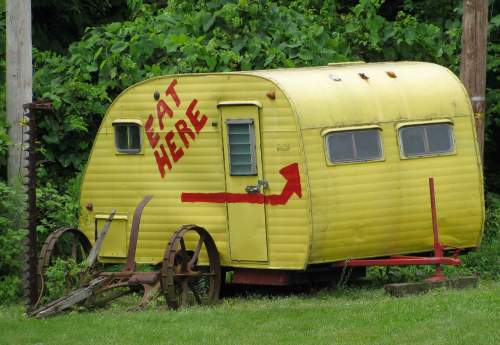 There’s room for about 2 people inside (or 4 squeezed). Drop by if you need a shot of caffeine. Or on a nice day, if you’re in the mood for a game of table tennis – on a miniature table, naturally. The Clamshell Diner is representative of many small diners round the world, but this one is not only Muscatine’s Smallest Restaurant. It is the world’s smallest restaurant with the world’s largest dining room! 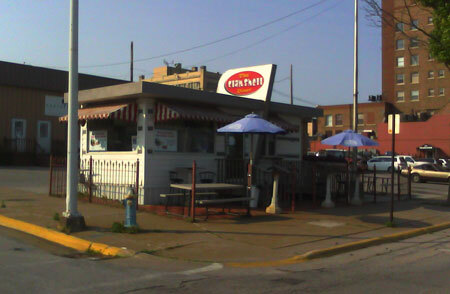 The Clamshell is a little Chef Diner #2111 built in 1955. It was previously located in the Iowa towns of Mount Pleasant, Mount Union and Danville. Rescued from a scrap yard by Tom Keller and Mel Gross, the diner was moved to Muscatine and restored. In 2004 it was sold to Tom and Ann Meeker and moved to its present location. Only a few original Valentine Diners remain in operation. 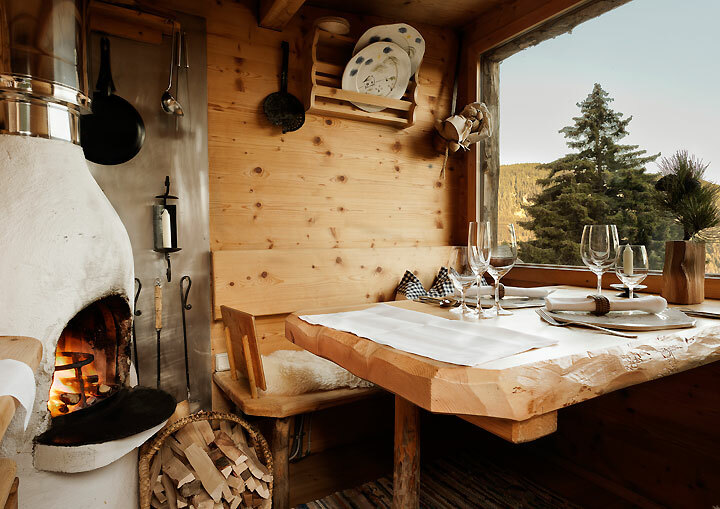 A culinary highlight in the truest sense of the word is the Holzknechthütte. On the open fire, the chef prepares a multi-course menu in Carinthian tradition. Fine wines complete the experience and the view from the panoramic window is majestic. The “Holzknechthütte” exceeds all expectations – be it atmosphere, the view, the menu selection or the warmth of the chef. 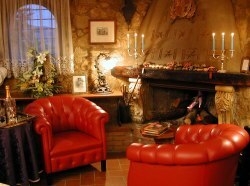 All dishes are freshly prepared in front of you and fine wines and home-made “Schnapps” complete the unique experience. Important: The “Holzknechthütte” is very popular. If you plan a visit, please make your reservations before you arrive. The forest workers in Carinthia – mainly lumberjacks – spent a whole week in the woods. Up to the middle of the last century, lumberjacks would walk on foot to the far-away working places. As they made this trip only once a week they needed an on-site place for cooking and sleeping. These were the simple lumberjack huts. Made of bark, they offered protection from wind and weather. The food prepared on open fire was simple, healthy and good. 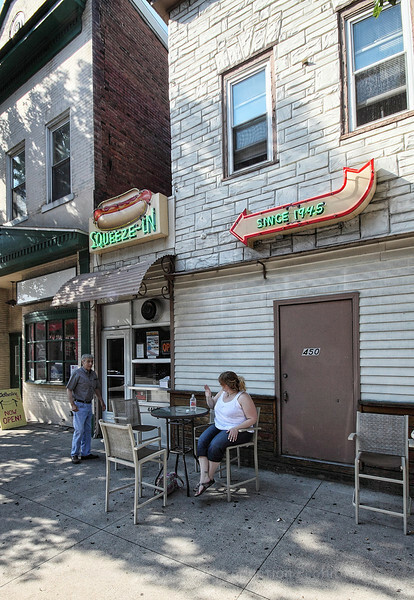 The Squeeze-In means dogs – hot dogs that is. And lots of intimacy. Located in Sunbury Pennsylvania, this joint has a love standing affair with its customers, who happily sit on any one of four four stools at a longish counter, or two-stools if you happen to be overweight. There’s usually a queue, but the wait is worth it. And you can always sits outside if the weather’s good!